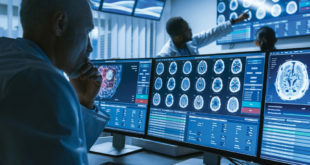 Medical imaging technology has revolutionized health care over the past 30 years, allowing doctors to find disease earlier and improve patient outcomes. Whether you are a young child with cancer or a grandmother who just wants to make sure she’s in good health, medical imaging helps you detect and diagnose disease at its earliest, most treatable stages and guides physicians and patients in determining the most appropriate and effective care. Radiology Associates physicians are board certified radiologists with training in all aspects of diagnostic imaging, including CT, Mammography, MRI, Ultrasound, X-ray, and Nuclear Medicine. Additionally, each has advanced subspecialty training in one or more areas of medical imaging or interventional radiology that we believe provides the basis for providing the highest level of patient care. Our goal is to provide high quality patient care in a comfortable environment, using the latest imaging and interventional technology and working in close collaboration with referring physicians. Magnetic resonance imaging, commonly known as MRI is a medical test that aids physicians in diagnosis and treating medical conditions. This is a noninvasive and typically painless test. 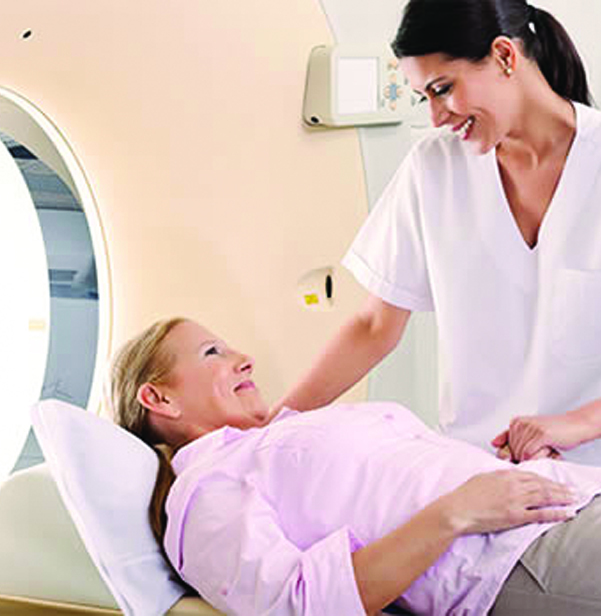 Breast MRI uses Magnetic Resonance Imaging (MRI) to look specifically at the breast. It is a non-invasive procedure that doctors can use to determine what the inside of the breast looks like without having to do surgery or flatten the breast (as in a mammogram). Magnetic Resonance Angiography – Magnetic Resonance Angiography (MRA) uses the same MRI scanner to get its images, however it is a special type of MRI scan that looks at blood vessels and blood flow. MRA can help diagnose aneurysms, and also detect narrowing or blockages of blood vessels. If there is decreased or blocked flow leading to the brain this can be the cause of a stroke. Additionally, it can be an ideal aid to the physician for surgical planning. Some MRA’s, as with MRI’s, require a contrast medium. CT Scan sometimes called CAT scanning is a painless and a non-invasive medical test that helps physicians diagnose and treat medical conditions. A process that uses high-frequency sound waves to produce pictures of the inside of the body. Because ultrasound images are captured in real time, they are able to show blood flowing through the blood vessels, as well as the movement of the body’s organs and its structure. An X – ray is a painless and quick test for the patient to endure. It involves exposing the part of the body that is being examined to a small dose of ionizing radiation to produce pictures of the inside of the body. 3D mammography is a new technology in the fight against breast cancer that allows doctors to examine your breast tissue one layer at a time. 3D mammography uses high-powered computing to convert digital breast images into a stack of very thin layers or “slices”- building what Is essentially a “3-dimensional mammogram”. Bone density scanning, also called dual-energy x-ray absorptiometry (DXA) or bone densitometry, is an enhanced form of x-ray technology that is used to measure bone loss. Positron emission tomography, also called PET imaging or a PET scan, is a type of nuclear medicine imaging. For more information about the diagnostic imaging services available at Radiology Associates of Venice, Englewood and Sarasota. Call the Venice office at 941-488-7781 or the Englewood office at 941-475-5471 or the Sarasota office at 941-342-7283.